A legend in his own time! 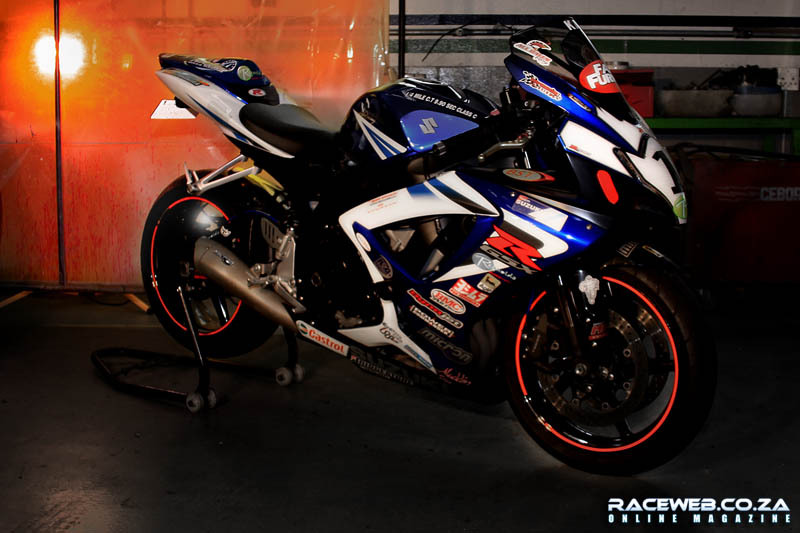 This is one of the fastest Suzuki GSXR 750’s in town if not thee fastest! By Zed Richeards. Photography by Tauriq Abrahams. What we have here is a true “dice kop”, a legend in his own time! 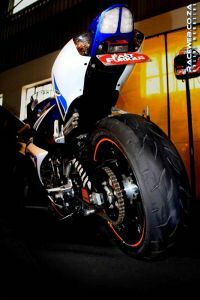 This is one of the fastest Suzuki GSXR 750’s in Town if not thee fastest! Even though, not much was done to the motor of this bike, plenty was done around it. With a rider like Shaughn Fortuin, better known as KAT, riding it and Julian from Superbike Solutions doing all the fine tuning , sponsored by Suzuki South makes this 2006 GSXR750 the fastest in CAPE TOWN if not South Africa! Looking at his bike you will notice it looks more like a race bike than a road bike. 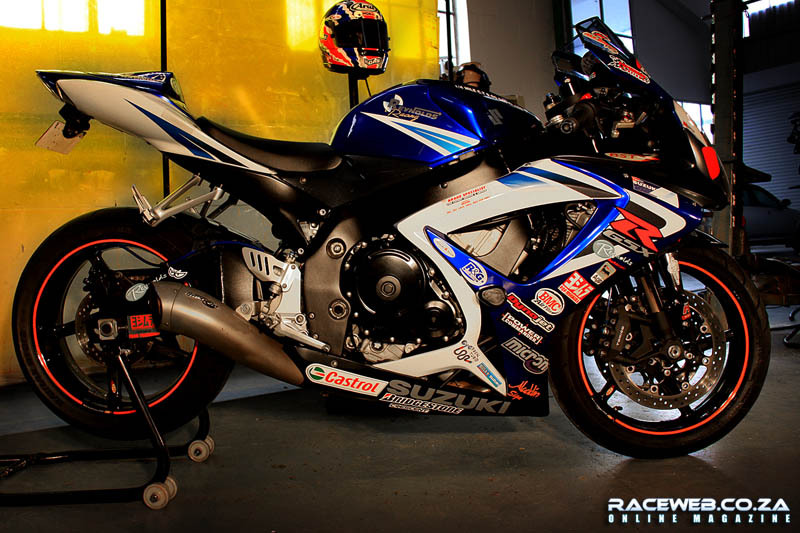 So let’s call it a road race bike, it sure looks as hot as one and definitely performs like none other! Knowing KAT for some time and knowing that he likes to “druk” (race), we often land up pushing our bikes to the limits, but KAT with more than 20 years biking experience, racing on the track, with the top secret setup he has, always comes out tops. A cool and collected racer, he is a force to be reckoned with. 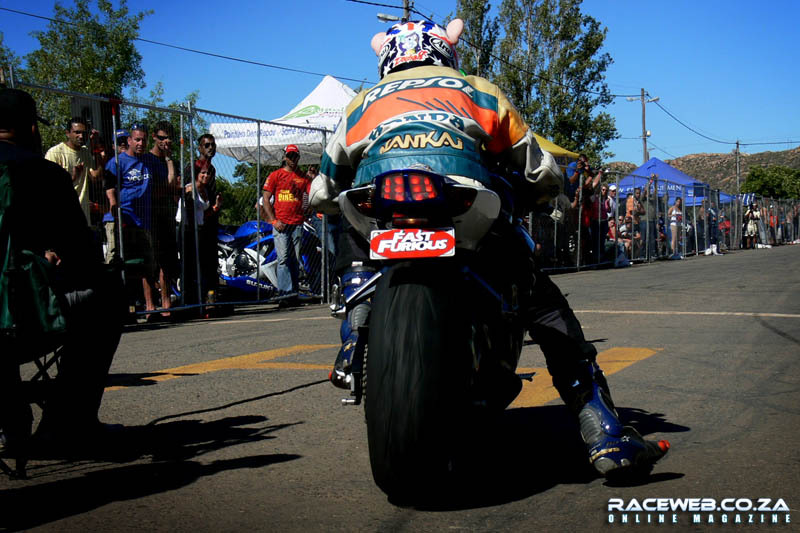 So if you’re riding a 750 and decide to see what you can do on the quatermile drags to take a prize, think again! Kat has been reining supreme with a quatermile time of 9.90 seconds! Yes 9.90 on a GSXR750! I know of 1000cc bikes going slower than that! And yes he likes taking them 1000’s on 2! Occasionally even beating them! It’s not only about the bike, it’s also about the racer piloting those two wheeled monsters! 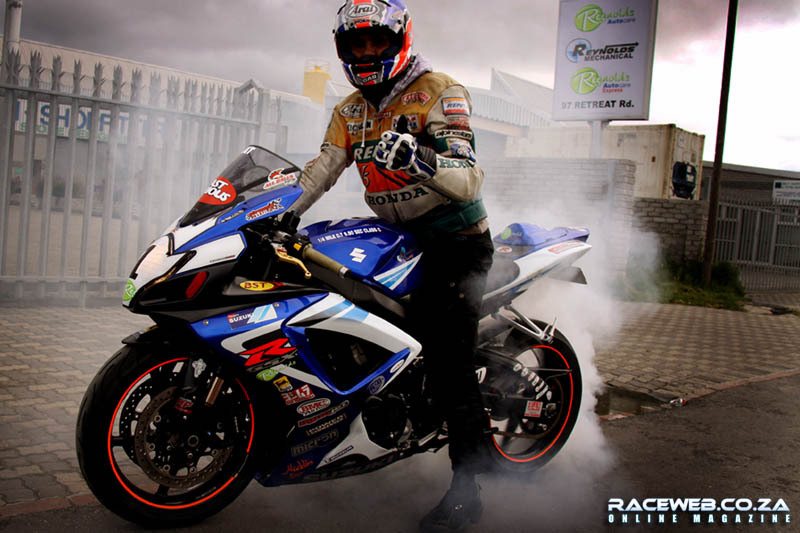 A cool head, nerves of steel and knowing your bike is what makes Kat the supreme drag racer he is!